I had met several of the group last week at the South Oxhey open evening. They are based in Tolpits Lane , Watford. There were on the Moor to teach Field Craft. Older cadets were instructing younger cadets to build bashers. By the end of the evening, the younger cadets had the opportunity to practise their new found skills. It will be important for them to remember these skills, as they will be going to sleep out in basher at the Easter Camp. 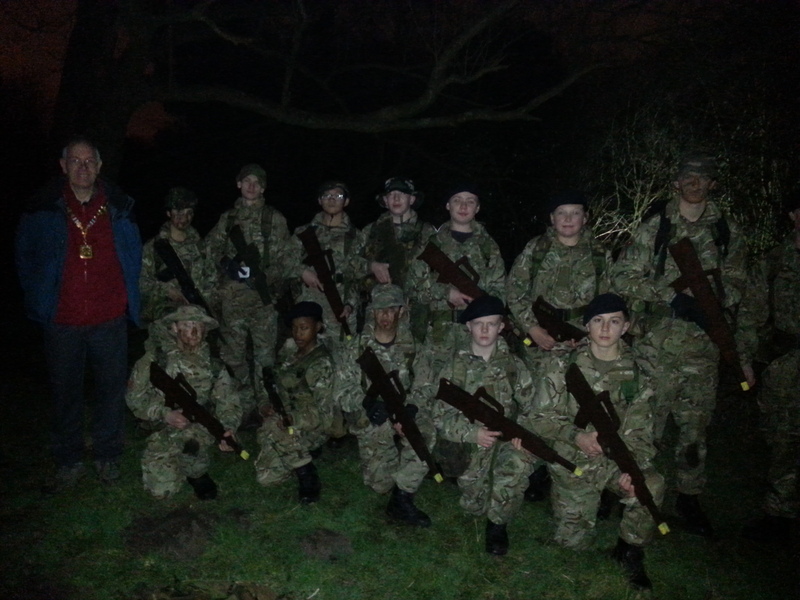 This group of Army Cadets meets on Monday and Wednesday. The Detachment Commander is SI Kevin Gornall. He and the other leaders volunteer to enable the young people to learn new skills. As well as learning cadet skills, they have the opportunity to take Duke of Edinburgh qualifications. 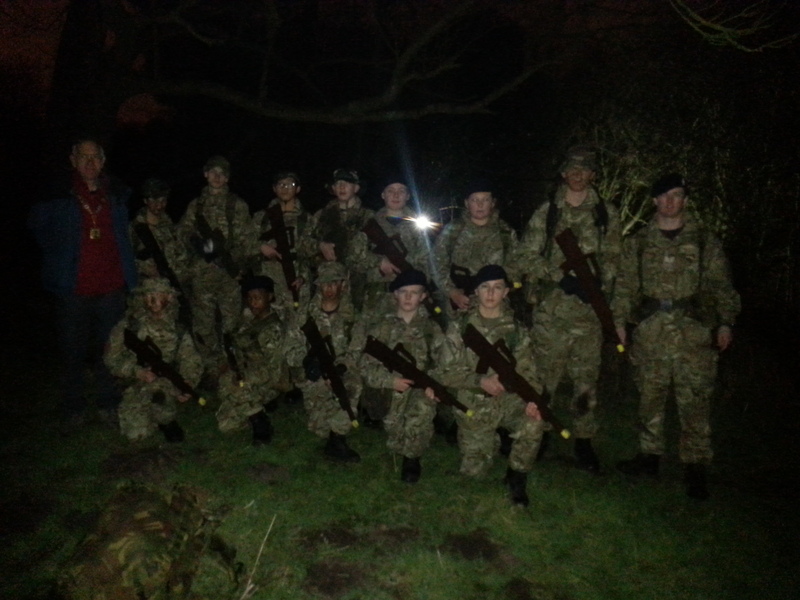 They are part of Bedfordshire and Hertfordshire Army Cadet Force. 3 out of 6 players who are in the Bedfordshire and Hertfordshire 5 a side football team are from the Watford Detachment.